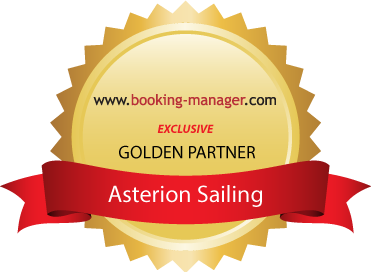 Asterion Sailing - Welcome to Asterion Sailing! How to reserve a Yacht? Now it is time to pack you sailing gear. We look forward to welcoming you! We are proud to say that our fleet is of superior quality and equipped with many additional extras which will make your stay a dream come true. Have a look at our yachts and make up your own mind! As a boutique yacht company we focus on the Ionian sea with our main base in Corfu. Bookings from Preveza and Athens are also possible. Our Fleet of Bavaria Sailing Yachts (38ft - 56ft) set new quality and equipment standards that will make your stay a dream come true. We only make promises we can also keep. Our staff is highly experienced and we know what it takes to deliver you the yacht you expect. Transfer between Corfu Airport and Marina, outboard engine, and berthing in Corfu Marina are included in the charter price.